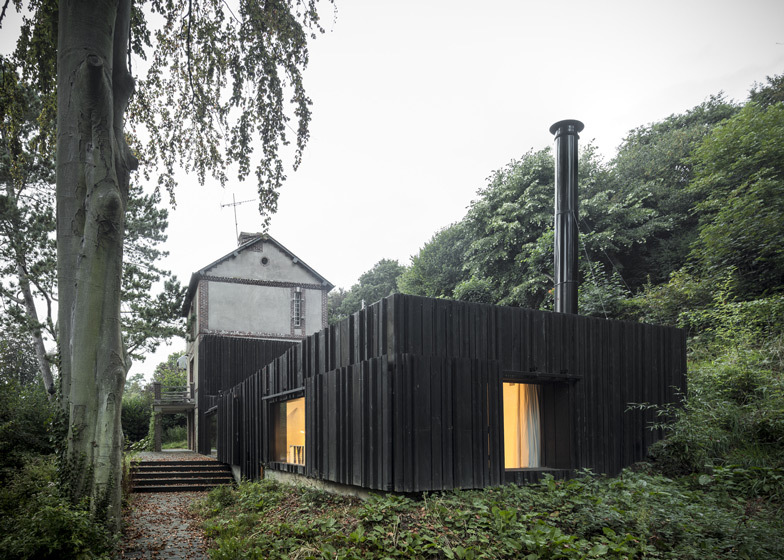 Paris studio Marchi Architectes layered up timber slats of different thicknesses and proportions to give an irregular texture to the walls of this sunken house extension in Normandy, France (+ slideshow). 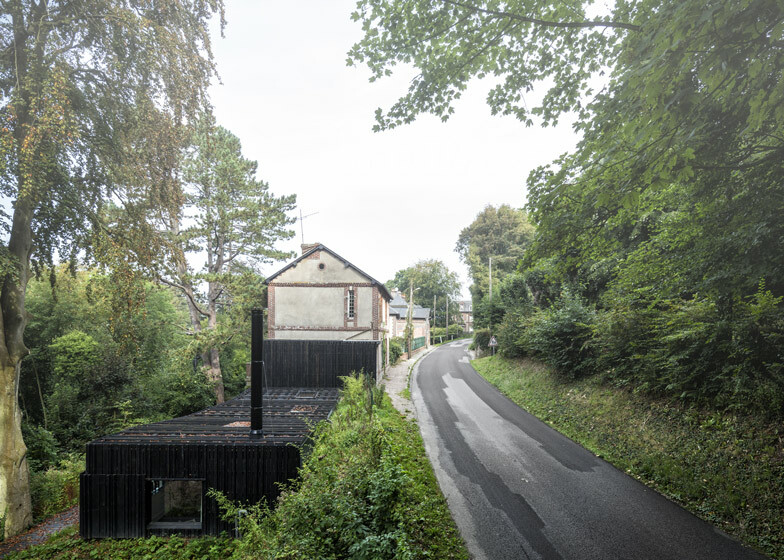 Adélaïde and Nicola Marchi designed the single-storey Black House to accommodate a new open-plan kitchen, dining room and lounge for an existing family house, allowing the owners to reconfigure their current layout. 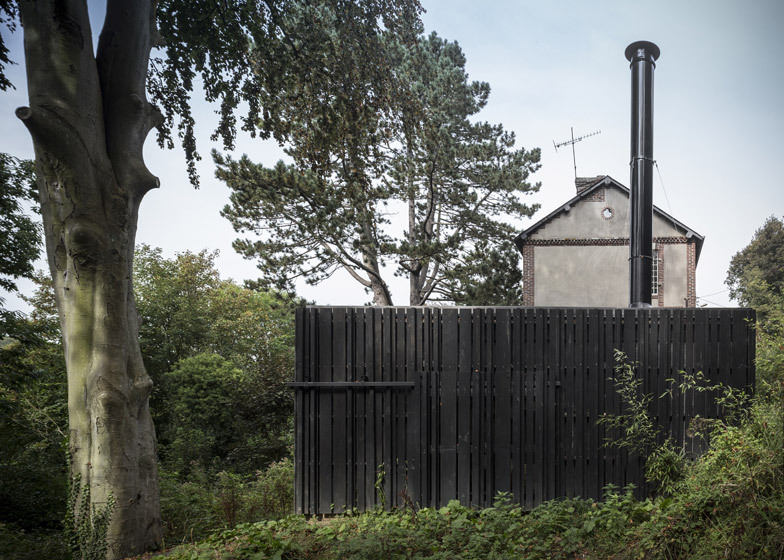 The structure extends from the rear of the property, but is set at the lowest level of the site so that it is barely noticeable from a road running alongside. 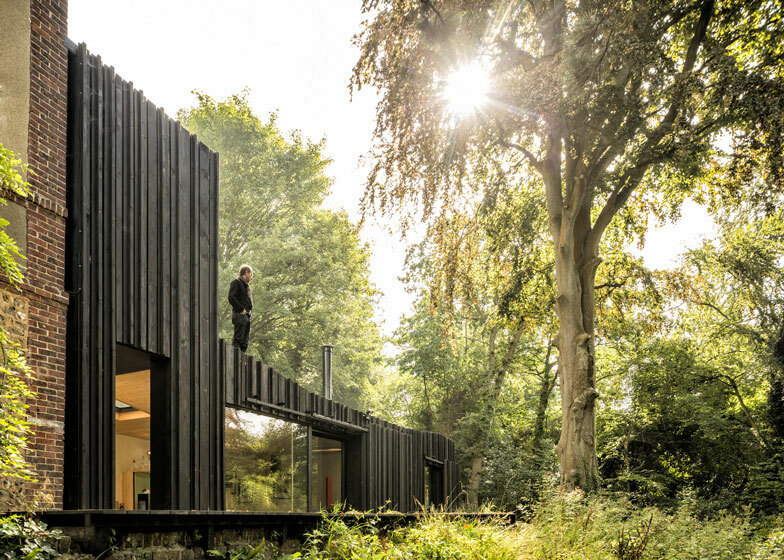 Black-stained timber cladding covers the walls and roof of the extension, allowing it to look like the shadow of the main house, while the textured surface was designed to help it blend in with the surrounding woodland. 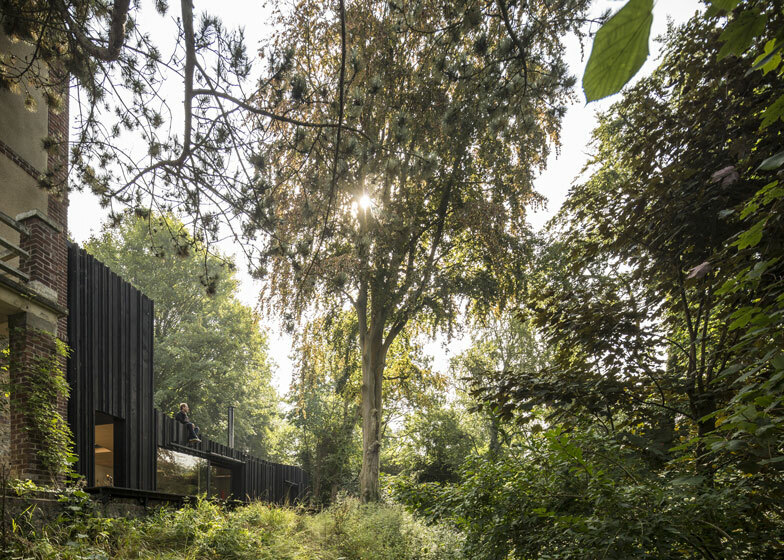 "The dark timber cladding plays with light and shadows so that the extension disappears in the shade of the forest around," said the architects. 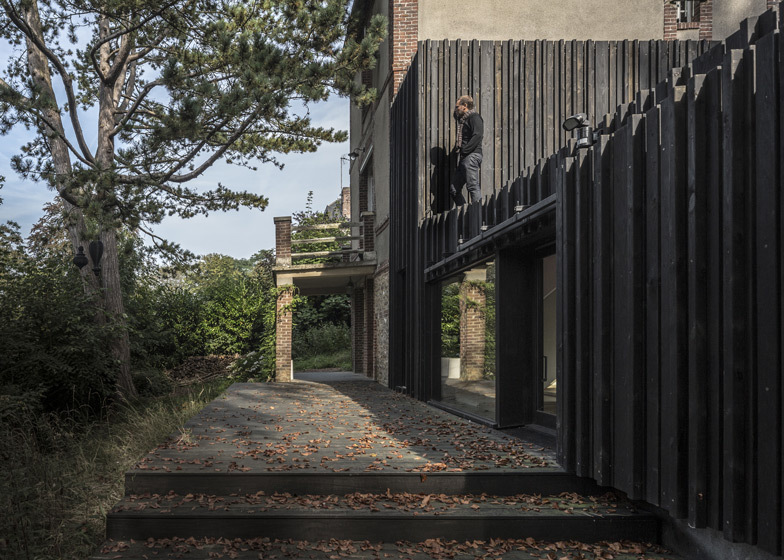 Shutters are clad with the same material and can be slid across the windows to screen the interior. 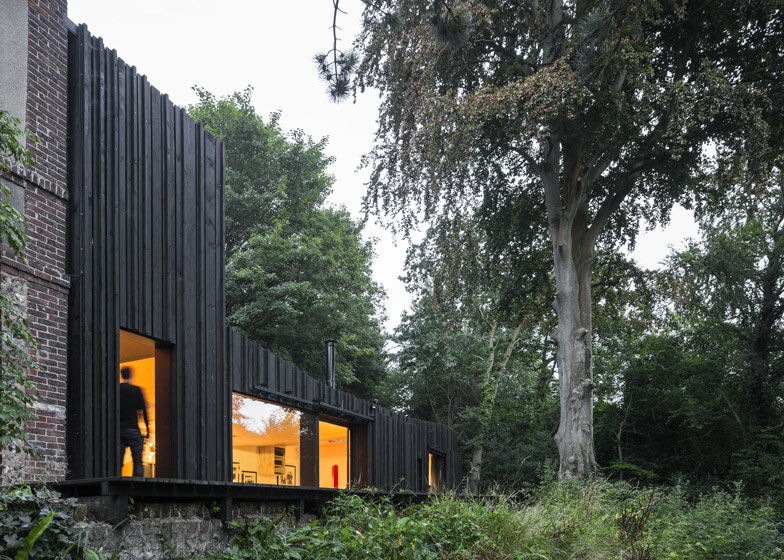 Inside, a two-stage staircase folds around one corner to create routes into the extension from different storeys of the house. 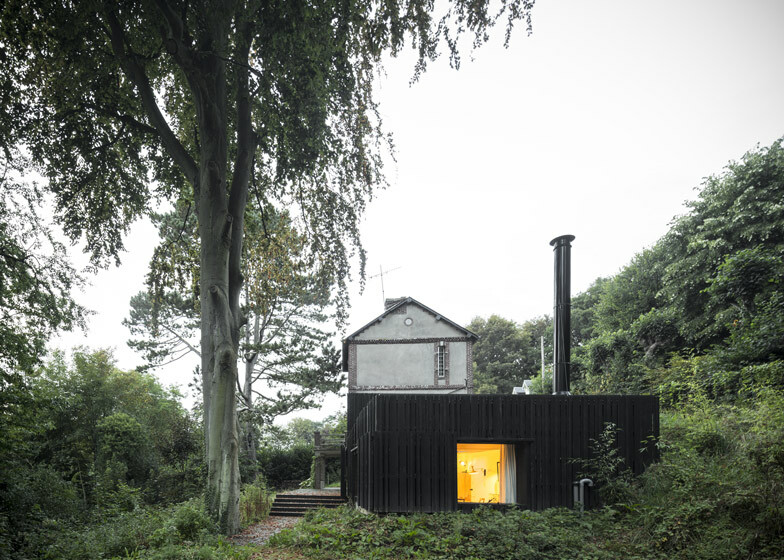 There's also an extra door leading straight out to the garden. The kitchen is tucked into the corner beneath the staircase, while the dining table sits in the middle of the space and the living area is positioned at the far end. 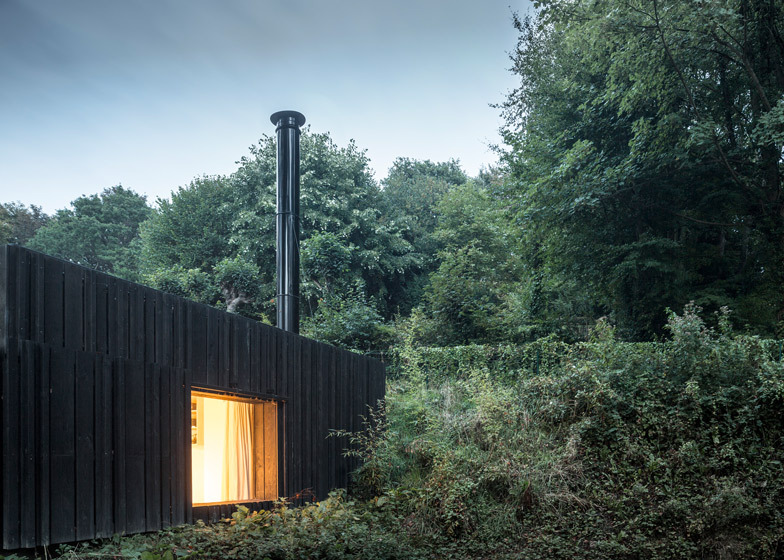 A pair of skylights help to distribute natural light through the room and heating is provided by a wood-burning stove. The client wanted to move the living spaces to a more open and transparent space, in order to free some spaces in the old house. A unique volume is set up, arranging kitchen, living and dining room. 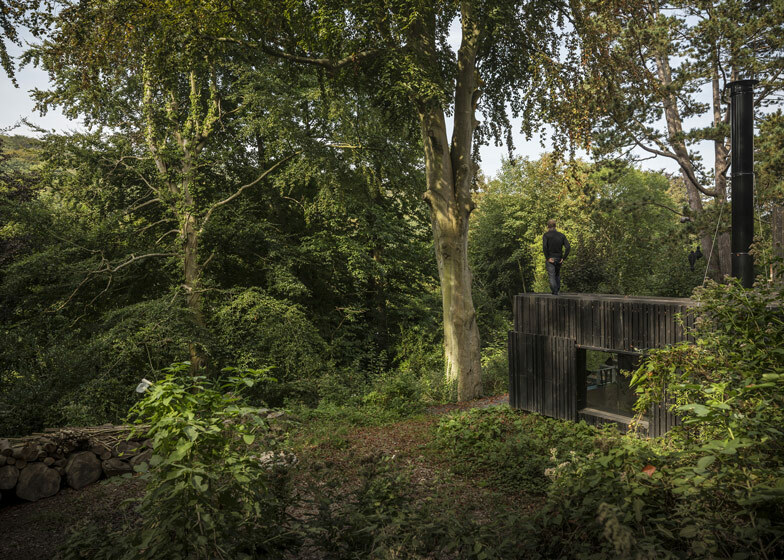 From the interior, wide views are offered to the garden and landscape. 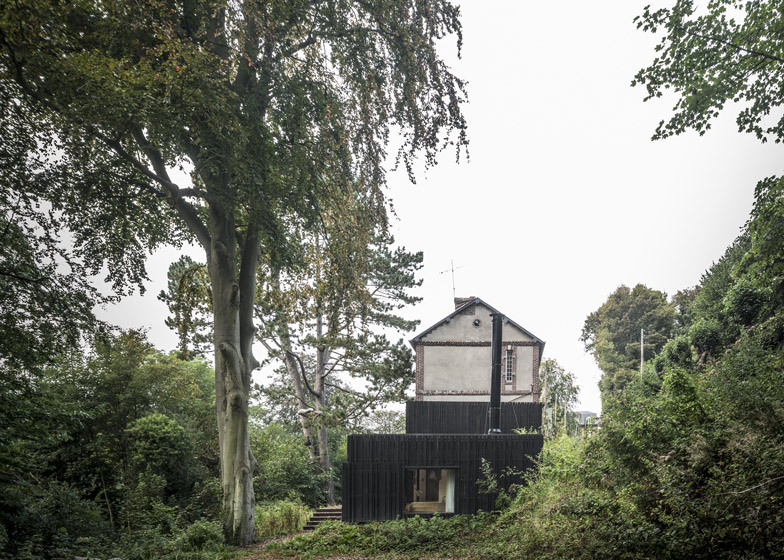 The extension is connected to the existing house as a structurally light volume, as not to overload the foundations. 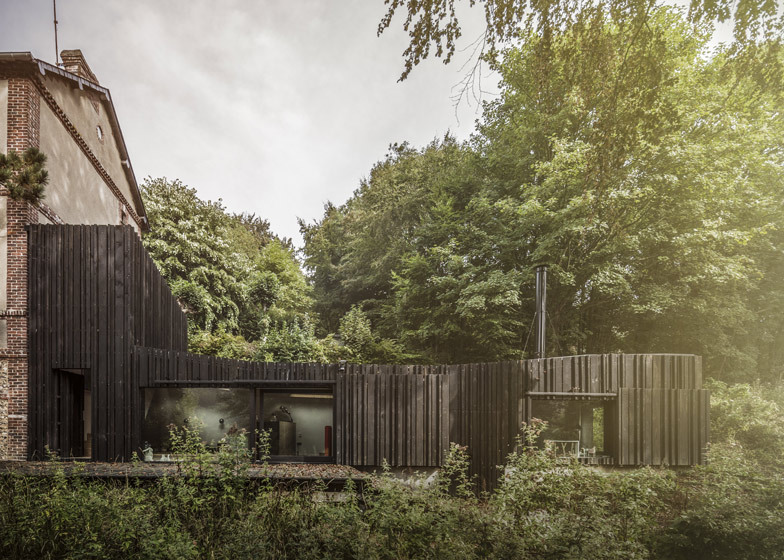 The project is minimal: the volume is integrated in the surrounding, partially recessed in the topography of the ground to stand lower than the street level.